In Mark 2:24-27, the Pharisees accuse Jesus of breaking the Pharisaical view of the Sabbath. Their pride and self-righteousness caused them to add repressive rules to the Biblical view of the Sabbath. We must resist being modern-day Pharisees who hold others in contempt. We also must approach the Scriptures with humility, depending on the Holy Spirit. 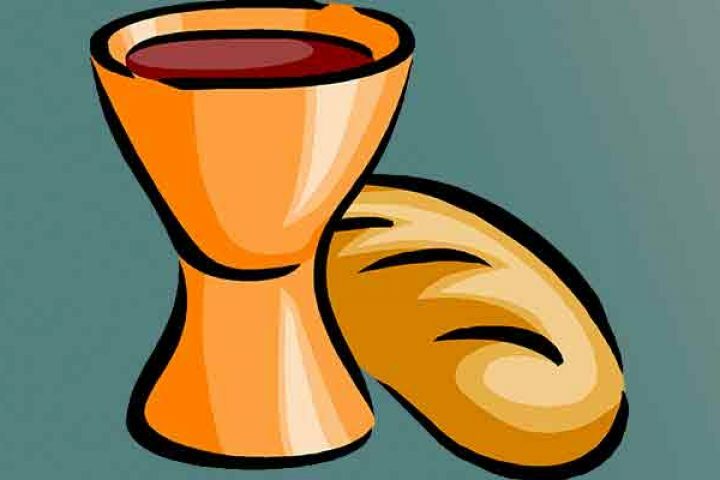 Finally, we must worship Jesus, the Lord of the Sabbath and divine Son of Man. When Jesus refers to Himself as the Son of Man (first in Mark 2:10 and many other times in the Gospels) this title holds deep significance. Son of Man is more than just a proclamation to Christ’s humanity. It is a reference to Daniel’s vision in Daniel 7 of the Son of Man who comes with the clouds of heaven, appears before the Ancient of Days, and is granted authority to judge the nations. Jesus has the authority to forgive our sins immediately, fully, and permanently. In Mark 2:1-12, Jesus is preaching the Word, the timeless, binding truth which sets us free. The four friends of a paralytic resolve to overcome all obstacles to bring him to Jesus. Christ first forgives the man’s sins, because the greatest need of all of us is to have our slate wiped clean: instantly, totally, and eternally. Christ then miraculously heals the paralytic, demonstrating His authority as the Son of Man, the Christ, to take away our sins. 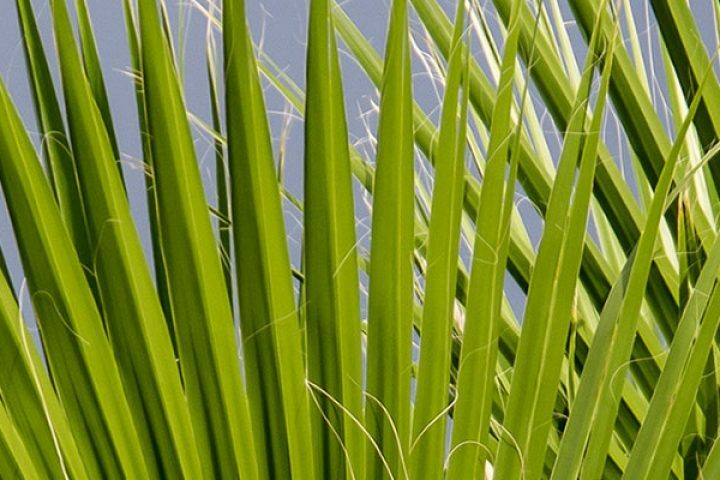 Miracles of physical healing by Jesus demonstrate the Lord’s compassion, His kingly power as the Messiah, and His ultimate mission to cure our sin-sick souls. Jesus was very willing to extend mercy to a leper suffering from an illness which had left him deformed and isolated. We, also, need a merciful healing from our sin problem. Reach out in faith and obtain mercy and cleansing. 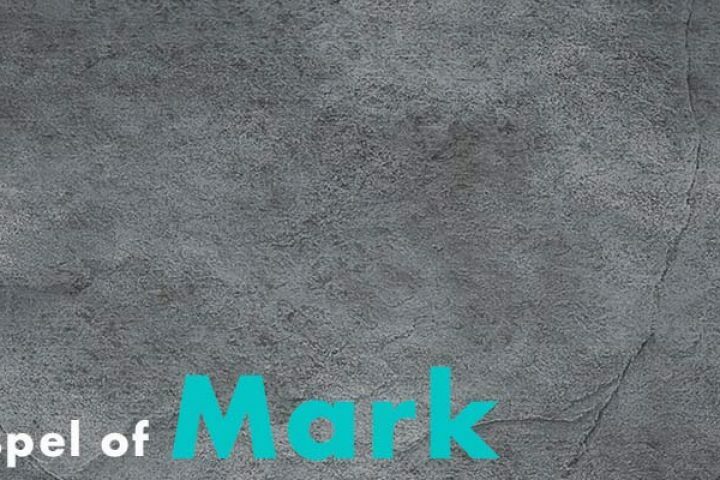 The first chapter of Mark focuses on the identity of Jesus. Jesus is revealed to be the Christ, the Son of God, the Lord, and the King. In verses 21-28, Christ’s power and authority is demonstrated as He preaches truth and exorcises an evil spirit. The enemy is no match for the Almighty God. Jesus calls His disciples to make a deliberate choice to follow Him personally, closely, humbly, courageously, daily, and publicly. He will enable us to make Him known to others, telling them of His grace. Mark 1:9-11 describes the baptism of Jesus in specific fulfillment of prophecy (Isaiah 53:10, Isaiah 64:1, Isaiah 61:l-2, and Isaiah 42:1-4). Each member of the Trinity is present at this baptism. Jesus enters the water, the Father affirms that Jesus is His eternal Son, and the Holy Spirit descends to authenticate and empower Christ. In a similar way each member of the Trinity is intimately, personally, redemptively working for you and your salvation every day. John the Baptist was the prophet who ushered in the new era of the Messiah. His message was a call to genuine repentance that leads to a changed life. He was humble before the almighty Christ. John foretold that Jesus the Messiah would give the Holy Spirit to His followers to enable them to walk in His ways. The beginning of the gospel of Jesus Christ, the Son of God. 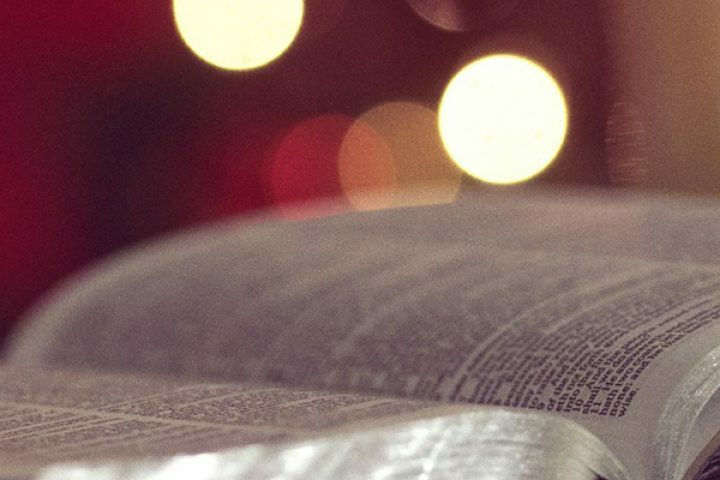 Mark 1:1 (ESV) Why do we want to study the Gospel of Mark? Let’s study the book of Mark to know the Lord Jesus better, to be drawn into a closer relationship with Him, to have a deepening love for Him. At Christmas, we celebrate the arrival of Emmanuel, God with us. The shepherds responded to this good news delivered by the angels by believing the message and acting on it. Mary worshipped and pondered in her heart all that had been told to her about Jesus. Let us celebrate Christ’s birth by first coming to faith in Christ. Then let us tell others the Good News of salvation, meditate on Jesus and treasure Hime, and praise God for sending our Savior. The first people to hear the Advent message were shepherds, a group considered in the culture of that day to be untrustworthy outcasts. The shepherds were terrified as they saw a glimpse of divine holiness and might. But the angel spoke with the reassuring message, “Fear not.” The good news for all people presented by the angel is a message of forgiveness and great joy. The High King of Heaven came into our world to bring grace. He is Emmanuel, God with us. The account of the birth of Jesus in Luke 2:1-7 reveals much about three attributes and the character of God. God is sovereign: the mighty emperor of the Roman empire became the unwitting servant of God to fulfill prophecy (Micah 5:2). God is faithful: every detail foretold concerning the birth of the Messiah came to pass. God is humble: Christ came to our world, to seek and save the lost. 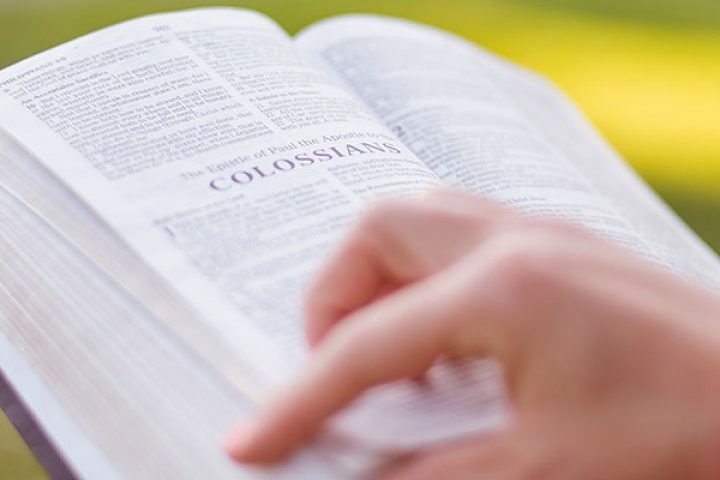 Colossians 3:15-17 sets forth how we can live Christ-centered, Christ-exalting lives in Christian community. We should live in peace with one another because we have been reconciled to God through Jesus Christ. God’s Word is to dwell in our hearts, and we should teach, encourage and exhort one another. All that we do should honor the name of Christ. Spiritual clothing matters—we are to clothe ourselves with the virtues listed in Colossians 3:12-14 imitating the character of Jesus Christ before a watching world. We do this because of who we are in Christ: “God’s chosen ones, holy and dearly loved,” enabled by the Holy Spirit. Our position in Christ serves both as a motivation to display these virtues and also as a source of hopefulness that we will be able to follow Jesus in this way. As believers, we are to be sin killers, putting to death evil desires, and sinful actions with the aid of the Holy Spirit. If we do not fully obey the Lord, this is the same as making a truce with our sins. Sin can rip our lives apart, hurt others, and bring serious consequences. We must have a steady resolve to acknowledge our sin, face it, see its ugliness, and eradicate it from our lives.